Our aim is to make the buying process as simple and straightforward as possible. 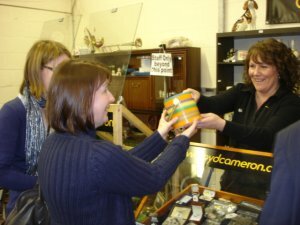 You may think you are the only nervous newcomer in the saleroom, but there are first time buyers every month, and our friendly staff are quite used to offering help and advice to novice buyers. The Consumer Rights Act does NOT apply to any auction and buyers are not therefore covered by legislation that protects non-trade consumers. All lots are sold without any form of warranty or guarantee and whilst the auctioneers make every effort to ensure the accuracy of the catalogue and the descriptions therein, each lot is sold by the vendor with all faults, imperfections and errors of description. No returns will be accepted and no credit will be allowed for previously undiscovered defects or discrepancies in description. It is therefore recommended that anyone intending to bid at auction should thoroughly inspect each lot of interest before bidding, as no warranty or guarantee is given with anything that is sold. 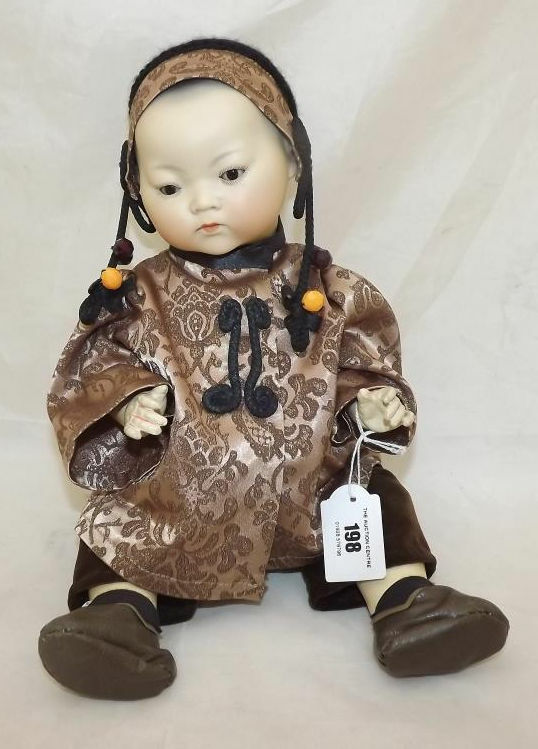 British Toy Auctions saleroom is open for viewing on the Friday immediately prior to each sale from 10am to 5pm in addition to which it may be able to facilitate a private viewing in exceptional circumstances at other times. It is recommended that absentee bidders who are unable to attend a public viewing should request a free Condition Report as early as possible prior to the auction, and in any event no later than one day prior to the sale. In order to bid at any auction, you are required to register your details (name, address, postcode, telephone number and email address) with our Client Services office. You can do this by visiting our saleroom in person, or if you are intending to bid online you can register by clicking on the-saleroom link on the home page. 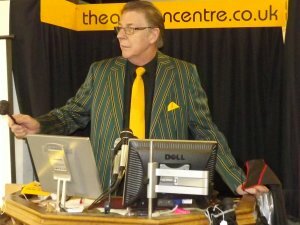 All of our auctions are broadcast online, and you can follow proceedings with live audio feed from the comfort of your own home or office computer. 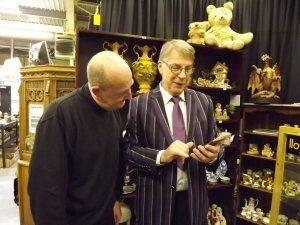 You will then be able to place bids electronically direct to British Toy Auctions during the course of the sale. Simply click on the Live Bidding icon on the homepage of this website. The original and still the best way to bid is by coming to the saleroom on the day of the auction. 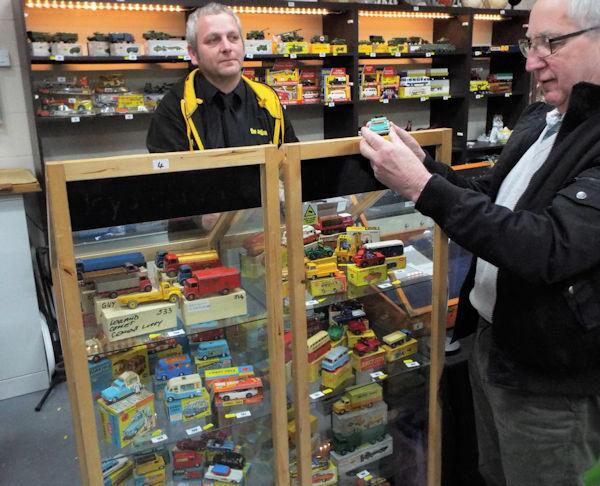 You’ll find all of the team welcoming and helpful, and if you’re only intending to purchase just a few lots, you can pay and collect without having to wait until the end of the sale. 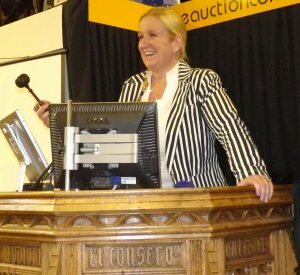 If you are unable to bid during the auction, the auctioneer or another member of the Client Services team can bid on your behalf up to the maximum level that you have set. This is a free service and you simply complete an Absentee Commission Bid form available at the Client Services office giving us your details, the lot numbers that you wish to bid on, and the maximum amount that you wish to bid on each lot. There is also a Commission Bid form on our website catalogue, or you may leave commission bids by phone or by email. We undertake to execute your bids as cheaply as is permitted by other bids or reserves up to, but not exceeding your maximum bids. You can book a telephone bid on any lot where the lower guide price is no less than £80 or, where no guide price has been published, when you are prepared to bid a minimum of £80. A member of our Client Services team will phone you shortly before the lot becomes due, and will take your instructions and bid on your behalf within the saleroom. Furthermore, you should be able to hear the auctioneer’s voice at the rostrum. A buyer's premium of 18% plus VAT is charged on all lots purchased at auction. There is a surcharge of 3% plus VAT for internet bidding. All lots should ideally be paid for on Sunday (the day after the sale when telephone service is available from 9.00am to 4.00pm), but in any event no later than close of business on the Tuesday immediately following each auction and difficulties will arise if you are unable to comply with this condition.For IN-HOUSE BIDDERS we accept cash and all major debit and credit cards. For ABSENTEE BIDDERS not present in The Auction Centre we accept BACS electronic transfer or GAP Payment Request via the-saleroom.com for live internet bidders. We are unable to accept card payments unless you are present in The Auction Centre. 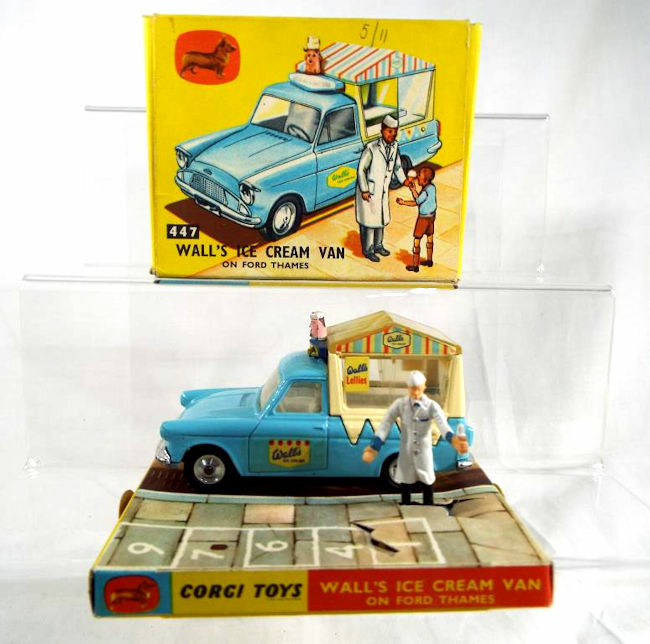 British Toy Auctions is open for collections on the Sunday immediately after each sale from 11am to 1pm, and also on Monday and Tuesday from 9.30am to 5.00pm. Please always remember that the lots purchased are at your own risk from the fall of the hammer, and it is therefore in your own interests to remove your purchases as soon as possible, and certainly no later than close of business on Tuesday immediately following the auction. We operate a local porter delivery service (small charge applies), and we also have an in-house packaging department which ships goods anywhere in the UK or abroad.